Finally, the weather has started to heat up, here in the UK. The products that have been featuring heavily on my dressing table recently, have definitely become more Summer appropriate. 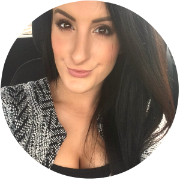 This favourites post includes lotions and potions that are helping me to get prepped for flashing a bit more flesh and to go au naturel, in the makeup and hair department. From the Models Own Ice Neon Nail Polish Collection, Pink Punch is a fluorescent, neon, coral colour. A perfect, hot sun, golden, bronzed skin and azure sea, kind of shade. It has been released before, but compared to the original shade, this one is much brighter and more pigmented. This collection of polishes are supposed to have a matte effect to them, but I'd say it's more like a semi-matte finish. However, if you'd prefer a glossy result, then adding the right top coat, sorts that out. The creme formula is opaque in just two coats and is a joy to apply, gliding on smoothly. Unfortunately, I've found that this polish chips ridiculously quickly. But, it's a great choice for a night out or special occasion, when you want an in-your-face pop of colour on the nails. This really attracts a lot of attention and you just can't miss it. The colour is one of my favourites and I'll continue to wear it, even whilst getting frustrated by having to re-apply more often! This particular collection of polishes are suspended in specially frosted bottles, apparently. In order for the varnishes to retain their brightness, they need to be kept cold, preferably in the fridge. Somehow, this is meant to prevent the neon intensity from fading. Whether that's true, or just a unique selling point, used to make the polishes seem unusual and quirky, I don't know. But, the bottle is only small and I've made space in my fridge, anyway. Models Own polishes are quite cheap and you get a tonne of applications per bottle, so they can't be sniffed at! During Summer, the last thing I want to do in the morning is blast my hair with a hairdryer, or use hot styling tools. Letting my locks dry naturally, after applying some serum to tame my mane, makes it less of a chore, when all I want to do is stay cool and get outside to enjoy the weather! 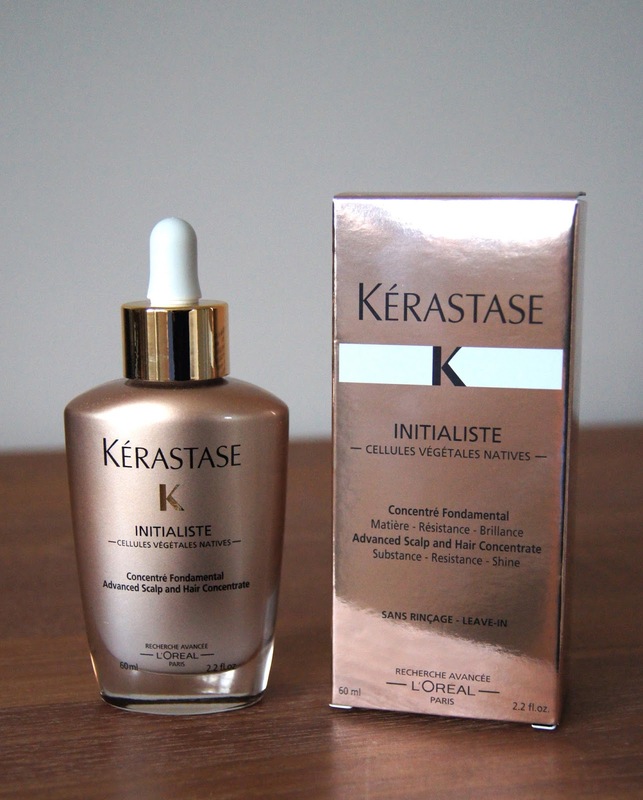 Applied onto wet hair, the Kerastase Initialiste Hair & Scalp Concentrate should be massaged onto the scalp and run through the lengths and ends of your hair, before other products and any styling commences. Compared to other hair serums and oils that I've tried out, this one from Kerastase is so lightweight. Usually, adding a serum into the roots of the hair is a no-no, but this is intended to target the scalp, as well as the hair. The scalp tends to get a bit neglected in our beauty regimes, so I'm glad that I'm now paying attention to mine. Healthy, lustrous hair comes from a healthy scalp, after all! Without leaving a greasy residue behind, this really makes my hair soft and smooth, taming any frizz and fly-aways. Less breakages seem to occur and my hair generally feels much healthier and stronger, since using 'Intialiste'. I have pretty fine hair and I don't feel that this weighs down my locks at all, either at the root or through the lengths. Occasionally, I'll suffer from a dry scalp and this serum really helps to nourish and protect it, soothing any itchiness. Fragrance wise, it smells divine and that lingers in the hair, which I personally love. The pipette is perfect for dispensing the perfect amount of product that you need, without waste. I tend to use about two pumps of serum, per application, as my hair is so long, but lacks density. The weighted, glass bottle looks very luxurious on my dressing table, but it would be such a pain to travel with. It's impossible to work out how much product there is left in the bottle, as the glass is opaque, which is annoying, also. Aside from that, it's a great product and even though it's a bit pricey, it should last a good while. Tinting your eyebrows literally makes the biggest difference to your face. Filling them in becomes ten times easier and I'm always much more inclined not to wear makeup at all, once I've been on a tinting spree. We all know that eyebrows frame the face and making them a bit more defined, gives a much more polished look. 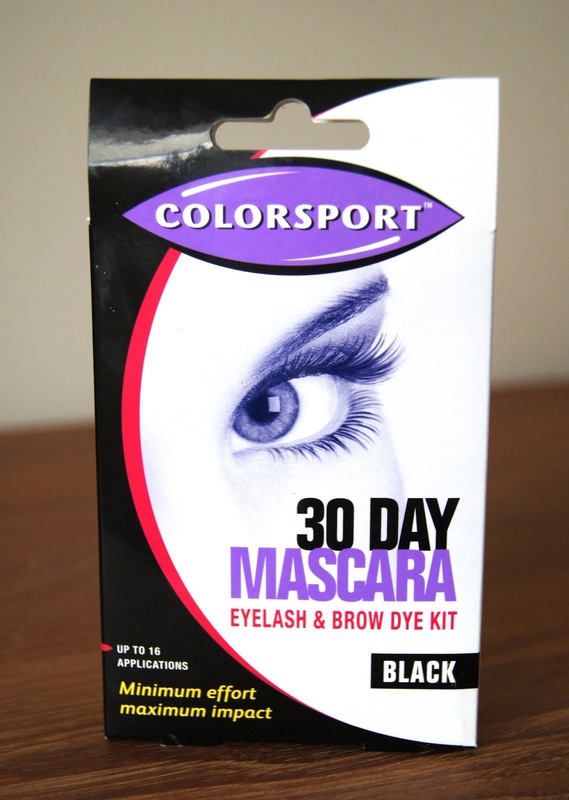 The Colorsport 30 Day Mascara Eyelash & Brow Dye Kit can be used on both eyebrows and lashes, to darken them. You mix together the ingredients supplied and, after covering the surrounding skin with vaseline, you apply it to the hairs. I like to use an old, clean mascara wand to comb the dye through my brows and lashes, as you get a more even coating and don't apply as much. After several minutes, I like to remove the dye with a face wipe, before properly washing my face with my normal cleanser and a muslin cloth. The results last for a few weeks, before fading and the cycle of hair growth means that new hairs replace the dyed ones. One thing to note, is that you must definitely make sure that you don't leave the dye on for too long! Red, itchy, swollen eyes are not a good look. I've made that mistake and believe me, they hurt, get all dry and flaky and it takes a long time for them to fully recover! This handy kit allows for up to 16 applications, which is such good value, considering it costs under £10. If applied correctly and with care, the results are just as good as those that you would get from a salon. Just make sure that you're doing everything by the book, as you don't want to aggravate the delicate eye area! 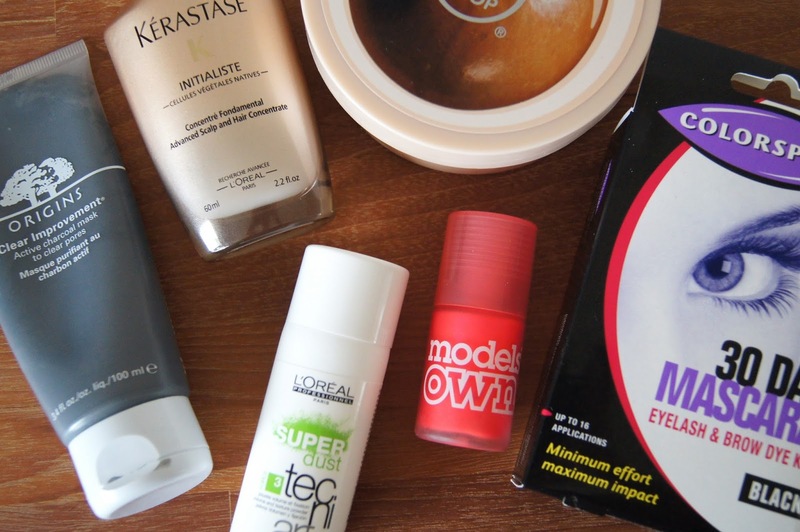 Having very long, fine hair, I'm always after products that promise height and a big barnet! When it comes to shampoos and conditioners, I prefer more moisturising, repairing formulas, so I turn to styling products for my volumising fix. During Summer, I can't be bothered to faff around with mousses and other products like that, especially when I let my hair air-dry. But, a powder is ideal, for effortless body and movement. 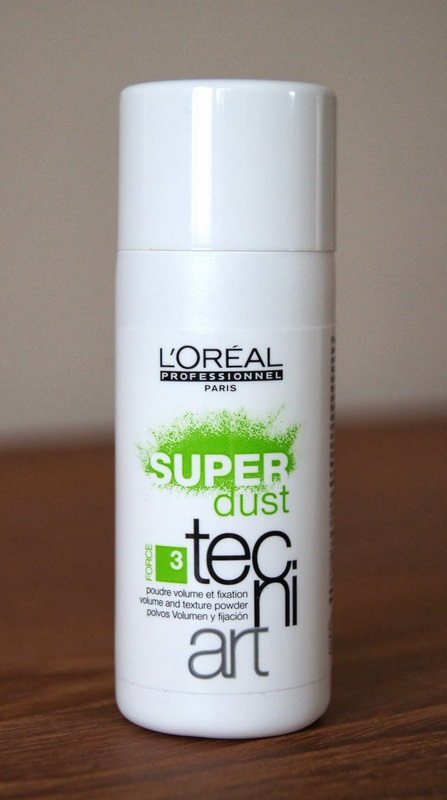 The Loreal Techni Art Super Dust Force 3 volumising powder really amps up hair, like no other. A slight sprinkling of this dust into the roots of the hair, gives super volume. Add too much and it can get a little sticky, though. My suggestion would be to add a little at a time, rather than too much all at once. You can definitely feel that you have product in your hair with this powder, but it doesn't feel heavy and doesn't look like you do. Personally, I wash my hair every other day and I only use this dust when I plan to wash it the following morning. If hair ends up getting a little flat and lank throughout wear, giving the roots a rub and roughing the hair up a bit, will bring it back to life, once again. A tiny little sprinkling of powder is all you need for awesome results, so even though 7g doesn't seem too generous, it will last for ages. The small bottle makes it perfect for carrying around with you, if you want to take your hair from day to night, maybe, or to travel with. 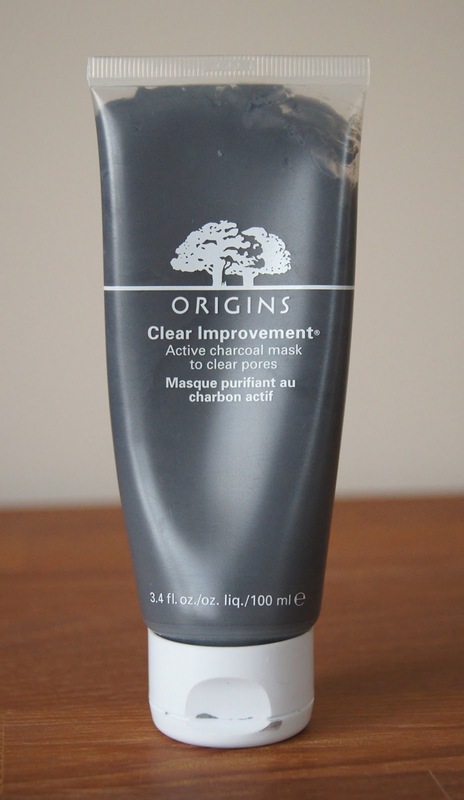 The Origins Clear Improvement Active Charcoal Mask entered my skincare stash a good, six months ago and it's been a bit neglected, up until now. As charcoal masks draw out impurities from within the skin, they can cause blemishes to creep out of the woodwork, over the subsequent days. This has put me off slapping it onto my skin, I must admit, as no-one likes the thought of a breakout. But, if ever my skin is powering through a congested, rough patch, it's the perfect time to whip it out. During May, I've been loving it. Active charcoal, white clay and Lechithin work together to dredge up any gunk lurking under the skin, unclogging pores and absorbing environmental pollutants. When my skin craves a deep clean, I slather this on all over my face, avoiding my eye and lip areas. Once it starts to dry, it gets extremely tight and cracks heavily, so much so, that it can get a bit painful, if you move your face. It can be stubborn to remove and takes a while to get off completely. I like to use a muslin cloth, saturated in hand-hot water, to gently buff the mask off. Afterwards, skin feels clean, but you don't experience any immediate changes, really. However, by the morning or over the next, few days, my complexion becomes much clearer and if I've had any blemishes, they fade much quicker. Skin isn't left dry, either, which is always a worry with cleansing masks. If you'd like to try any of the Origins masks, but don't want to fork out for a full size tube before you know whether it agrees with your skin, you can purchase travel size versions. After a couple of welcome bouts of sunshine, my skin has been left in need of some TLC. In order to keep it soft and supple after catching some rays, I like to liberally massage in some moisture. On holidays, I'm all for using after-sun products, but when I'm at home, I tend to reach for an extra rich body cream or butter, instead. 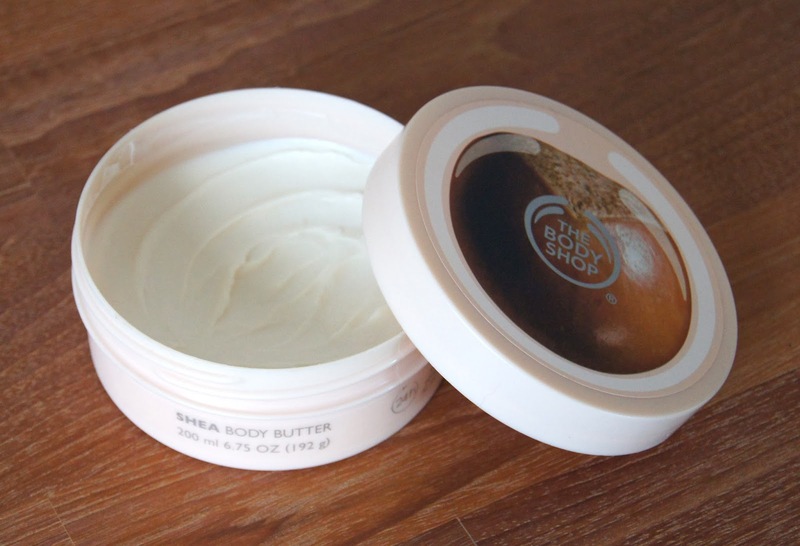 The Body Shop's Shea Body Butter is just the richest, most nourishing body butter I've ever tried. They're definitely known for their body moisturisers and I've always been a fan of the mango variation, but this has topped them all! When skin is in need of an extra treat, this formula is just ideal. As that is the case, as you may expect, it does leave a greasy residue on the skin. For that reason, I only apply this before bed, so that it can really work its magic overnight. When I wake up, my skin is baby-soft and has a healthy, glossy sheen to it. 24 hour moisture? I can well believe it! The formula itself is dense and solid, so it takes a bit of time to get it to spread easily. Honestly, it doesn't smell as scrumptious as other body moisturisers, but it's quite a natural, non-offensive fragrance. As it's so concentrated, a little really goes a long way with this body butter and a 200ml tub will last for ages, depending on how how often you use it. For me, I think that £13 is an absolute bargain, as it gives such an intense moisture hit. I loved reading this post! Thank you! Will be trying out a few of those products now, especially the kerastase initialiste hair and scalp concentrate and the L'oreal tecni art super dust force 3!